We were appointed by a developer client as landscape architects on this compact 0.2Ha brownfield site, adjacent to a railway viaduct. 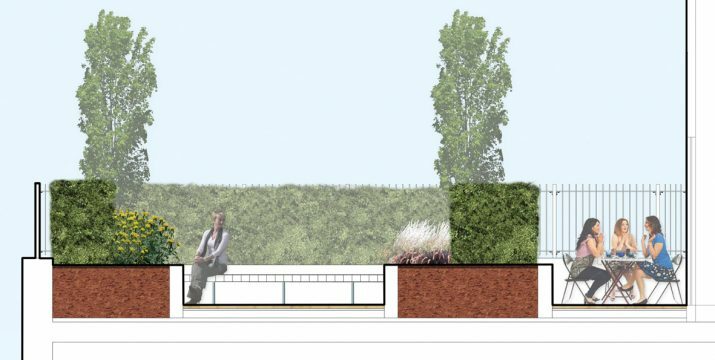 Our scope was to provide a sketch landscape design for client sign off then to proceed with the preparation of a landscape architect ‘s package of information to support a detailed Planning submission. The existing industrial building that occupies the site is to be demolished and a new building is to be erected. The architect’s proposal for the building was one that contained 72 residential units and commercial space at ground level and Level -1. The building was arranged in two residential blocks, one 7 story high, the other split over 5 story and 7 story high. At Level 1 a landscape zone which connects the two buildings was suggested by our landscape architects. 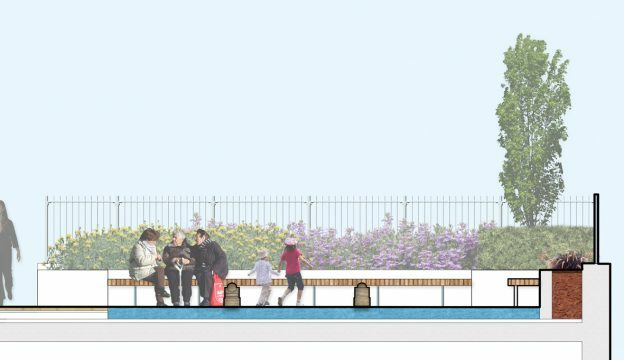 This is to be a shared space for the use of the resident of these buildings, including the children. The landscape design for this space accommodates three areas of play, seating and planting. The planting specified was to provide all year round interest and to help provide a more habitable space. In addition, the architect suggested areas of this zone should be ‘cut away’ to allow for daylight to penetrate to ground level and Level -1. 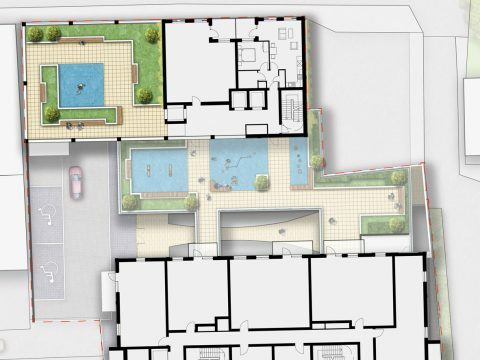 At Level 5 roof top another shared communal landscape space is proposed. The landscape design accommodates a play space, seating and planting. 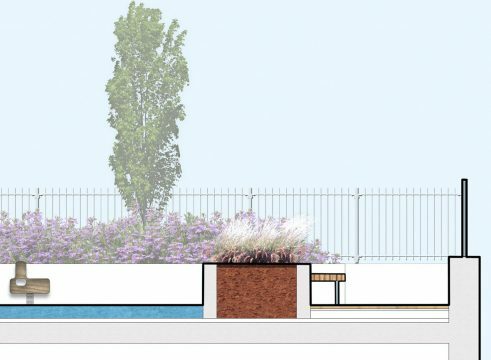 Our landscape architect’s proposal considdered the arrangement of objects within this roof terrace zone and ensured visitors are able access the building parapet edge to enjoy long distance views across the Bethnal Green skyline. At the ground floor level our landscape design accommodates one way vehicular traffic from Hollybush Place, deliveries to the commercial units and two disabled parking spaces. 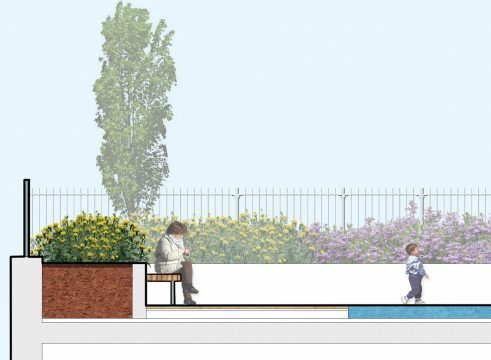 Our landscape architect’s design considered the ground plane carefully and used contrasting paving materials demark the pedestrian zones and carriageway.